If you imagine you're all alone and no one can see you, think again. Listen to this lesson to learn how angels watch Christians. Recognize that how we respond to authority is noted by them. See that angels are eager to learn from us as we study and apply the Word of God to our lives. Understand thirteen great lessons that the angelic conflict teaches us during the Church Age. Begin a study of the Biblical passages that tell us about the Rapture which ends the Church Age. "I'll fly away, O glory. I'll fly away." If you've ever longed to be part of the Rapture generation, listen to this lesson to learn how Christians will take an out-of-this world trip and be caught up in the air to meet the Lord. Learn the details of what happens and the reasons we believe this momentous event occurs before the Tribulation. Find out about three sounds that will be heard. See how our deceased loved ones who were believers receive their resurrection bodies and in a twinkling of an eye we join with them. Gain a panoramic view of what happens after this momentous event and an understanding that this knowledge gives us comfort when we face grief and injustice. Did you ever take a sneak peek at the end of a book to see what was going to happen? Listen to this lesson to find out that we don't have to wonder about our future because the Bible tells us about the electrifying event that believers should be anticipating. See the difference between the Rapture and the Second Coming of Christ. Learn about resurrection, beginning with Christ's. Explore the various views on when the Rapture will occur and the reasons for believing in a pre-Tribulational Rapture. Do all Christians go up at the Rapture or is it only for those who are living good lives? Listen to this lesson to understand what the Bible teaches about this important event that ends the Church Age. Review the main beliefs of when the Rapture will occur. Listen to several compelling reasons for believing that the Rapture will happen before the Tribulation. Accept the challenge of growing spiritually during the remaining days of this phase of God's plan for the ages. Perhaps today! Are you eagerly looking forward to Christ's return in the air at the Rapture? Listen to this lesson to learn about the doctrine of imminency and how it should affect each of us. Understand thirteen distinct differences between the Rapture and the Second Coming of Christ. Marvel at the remarkable prophecy of Daniel's seventieth week and the amazingly precise timetable it lays out for the Jews. Be challenged to live every day as if the Rapture would happen at any moment. Have you ever wished you could be a time traveler into the future? There's a time coming that no one would choose because its horrors almost defy description. Listen to this lesson to learn about a time that was prophesied in the Old Testament when horrendous, indescribable events take place that are beyond anything the world has ever known. See several titles for this seven-year time period including the Day of the Lord and Jacob's trouble. Learn how God pours out His wrath upon the human race and rejoice that all believers of the Church Age will already have been snatched up at the Rapture before this time begins. Choose the present moment to accept Christ's work on the Cross for your salvation so you, too, can escape this violent, deadly dark time. Who is the Antichrist? Step right up and make your guess or better yet, listen to this message to learn that he won't be revealed until after the Rapture of the church. See that he bursts upon the world stage during a time filled with wars, earthquakes, and epidemics. Observe that this charismatic and cunning man will be empowered by Satan and adored by the masses. Follow the panorama of history where prophecy has already been fulfilled leading to a future, evil kingdom, worse than anything the world has ever known. Be certain of your eternal salvation as you remember that the clock is always ticking down to the end of the Church Age when Christ will come for all who have trusted Him. Picture the most cruel, blood-thirsty ruler the world has ever known. Attila the Hun? Stalin? Hitler? Listen to this lesson to hear how the Bible describes the Antichrist of the future who is worse than all of the others combined and is so evil he strikes terror in the hearts of all he rules. Find out about his extraordinary rise to power, the evil he perpetuates on the human race, and the way he defiles the Jewish Temple. Learn about the Second Beast/False Prophet who carries out the Antichrist's commands. Envision a series of three judgments on the earth that result in the deaths of one half of mankind. Understand that those who trust in Christ as their Savior now will not have to live through this seven-year period of tribulation. Frog-like demons. Devastating earthquakes. Seas turned to blood. Are these fantasy scenes from horror movies? 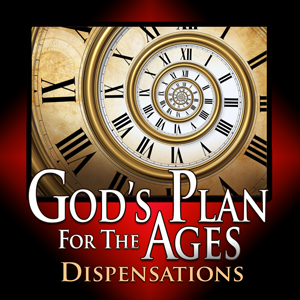 Listen to this lesson to learn that instead of them being the product of someone's imagination, they are actual events in a Biblical description of a future seven-year period called the Tribulation. See that this time is broken into two three-and-a-half year periods when a series of three successive judgments will be unleashed on the earth, including the Four Horsemen of the Apocalypse. Hear a vivid, blow-by-blow description of the major players and events which culminate in fierce battles, ending with the campaign of Armageddon where the entire world attempts to destroy Israel. Find out about Jesus Christ's triumphant return to earth to rescue the Jews. Gain comfort from knowing that no matter how bad things seem, we can have confidence knowing that God is always in control. "I'd like to teach the world to sing in perfect harmony." This Utopian dream of world peace is near and dear to most people's hearts as they long for a day when man will make war no more. The United Nations staggers helplessly from crisis to crisis trying to bring this peace about. Listen to this lesson to learn that only when Jesus Christ returns to this earth after the Tribulation will He set up a thousand-year reign of perfect environment, peace, and justice. See how even when people have everything they could desire, some will still use their volition to choose against God.